Two medals and recovering mood! Summer ended, then it was time for some rest, then San Fran 50 miles and then the start of the ski season! The past years I have been skiing telemark when I have been in the mountains wintertime. But this year I decided to try ski mountaineering. And I love it. So much. It is a feeling of freedom. You can move light, fast and easy. And I decided to try some races. I started out in Norway, and won the Norwegian Championship! Then I tried a world cup and then I decided to go with the Swedish national team to the World Championship. I didn´t have any goals with races. Because I felt that I needed to take a rest from racing after the long summer. But when I realized I had good possibilities to reach top 5 my fighter started to wake up. Okey- I´m new at this, I don´t have the best technique, I´m not fast in transitions and my experience was non-excistent. But I wanted to do my best! And that takes a lot of energy, especially if everything is new for you. My mind was as tired as my body after every race. I ended the World championship with two bronze medals! It is over all of my expectations. Now I´m home in Sweden. Yes, I am Swedish even though I live in Tromsö, Norway. I am in the mood of rest. I have the will of just relax. Take it easy. No plans. And I think this is what I really need before the running season starts. And when does the running season start? It starts in 9 days!!! I´m gonna run the marathon on gran canaria. I´m excited. And after that I´m heading with a few of my salomon teammates to New Zeeland to visit my dear team mate Anna Frost. But after that I´m going home to Tromsö again, so then it´s winter again..I kind of like this time of the year when I can do both! Keep in touch because the running season is hear !! The best feeling to share with friends after a race when you gave all you had. As you live in Tromsö and you showed us those nice pics from Norway skiing with KJ, I thought you were from Norway. 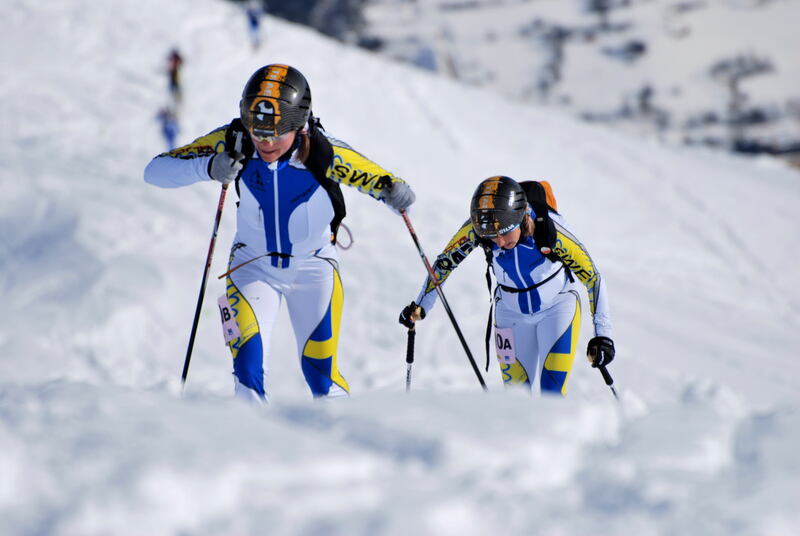 After seeing you in the skimo World Championship with the Swedish team I realized you are Swedish. No doubt about it now!!!!! Congrats for your running season and the passion you’ve put in your decision about skimo. Of course it’s a matter of freedom…but not only. Have a nice resting time and all the best for your next races. You’re so inspiring. Keep racing hard smiling !!! Your smile exudes the free spirit of a wistful and most free child, tetherless, uninhibited, and adventurous. Rest well, good luck, and may you fly like a wild mustang down those rugged trails!